A senior captain at a legacy airline makes a decent salary, but if you get into aviation for the salary, you'll probably be very disappointed. One of the downsides to flying is that flight training is really expensive, and the starting salary for most flight instructors or regional airline pilots is hardly enough to make a living. Throw student loans and a family into the mix and that $30, 000 starting pilot salary isn't going to cut it. Those that are patient and also happen to enjoy their lower-paying flying jobs will stick around long enough to move up and make more money - but patience is key. It won't happen overnight. There are many pilots out there that make a very good salary, but you can bet that they've put in their time. So if you're getting into aviation for the money, you may want to consider a different career path. Back in the day, it used to be that pilots were really, really cool. (At least that's what I hear.) Don't get me wrong, pilots are still super cool, but not in the famous/lavish/extravagant/Hollywood way. The economy has, indeed, taken its toll on the aviation industry and airline pilots are sometimes seen as nothing more than glorified bus drivers. Today's pilots are cool in a more laid-back "I-don't-stress-about-my-job" and "I -spend-every-weekend-at-the-lake" way. For the most part, pilots can leave work at work. When they clock out, they don't usually have to spend long hours behind a desk at home filing reports or answering emails. Really, though, if you're the type of person that needs constant "atta-boys" for a job well done or expect a raise when you fly well, then flying is not the career for you. Pilots show up, do their jobs, go home and get paid. That's about it. Sometimes promotions happen for those that want to move up the executive chain at an airline, but in general, pilots don't get rewarded for good flying. In fact, the contrary is true: Each and every performance must be stellar just to keep people alive, so any flight that isn't 100 percent perfect could mean you're fired. The travel perks for some airline pilots are nice, but the reality is that after flying around the country, the last thing you want to do on your downtime is fly standby somewhere else. Pilots like to stay home when they aren't flying, so all of those vacation days and free flight benefits won't really matter when you haven't slept in your own bed for three weeks. Airline pilots use their travel perks to fly family members around every now and then, but otherwise, there's not much time for vacations to Hawaii. If you want to become a pilot for the travel benefits, you might be disappointed to find out that pilots actually work a lot and have little time for fun. Pilots don't always have a great work schedule. Today, airlines are operating at the highest possible efficiency. When it comes to operating lean, airlines would rather fly their pilots a few more hours each month than hire new ones. These days, pilots are flying a lot and have less downtime than in previous years. Most pilots are expected to fly at least 75 hours per month, not including the time it takes to commute or sitting at the airport, which averages to be about 150 additional hours, according to the Bureau of Labor Statistics. 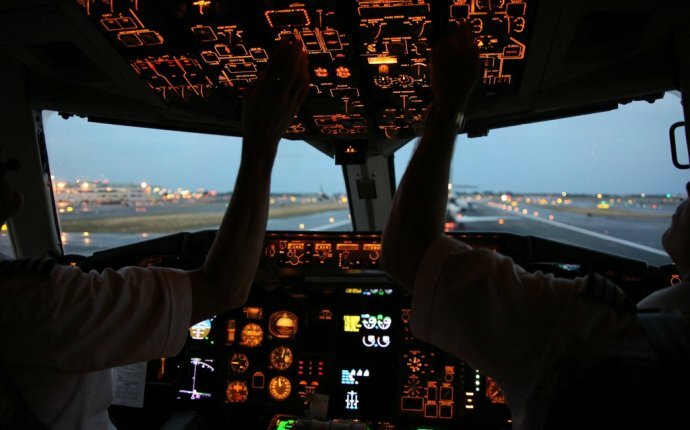 Many pilots, especially junior pilots, will work over 50 hours a week. New pilots will work overnights, weekends and holidays. The good news is that senior pilots do have some flexibility in their schedule and can often fix their schedules to fit their own needs and desires. But like a good salary, it takes time to climb up the ranks and set your own schedule. Pilots don't often get special treatment when it comes to their hotels and overnight stays. They stay at regular old hotels, just like everyone else and rely on public airport transportation, just like a normal passenger. There is nothing luxurious about spending every night in a hotel. When off the clock, a pilot isn't usually bogged down by work matters and can relax without thinking about work. But in the cockpit, it's a different story. Pilots need to be on top of their game during every flight and not all flights go as planned. The cockpit environment is a busy one and one bad patch of weather or hiccup in a communication device can significantly increase the stress level in a cockpit. It's not only the flight environment that's stressful. The instability of the airline industry also leads to tension and anxiety for pilots. Furloughs and union strikes can mean flying one day and grounded the next. And then there's the constant training and frequent check rides with the ?FAA monitoring and evaluating your skills. @Jehovah Thickness: I want to become a pilot, man. I'm going to make this happen!